body protector will need to comply with the new safety standards brought in in 2018. A new date will be arranged in September. Please download the entry form to book your place. The cost is £190 per rider & one horse for the 2 days, stabling and straw provided but not hay. £90 deposit secures booking. 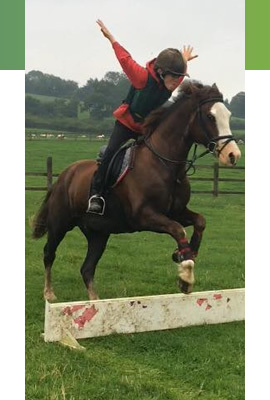 There are excellent facilities including cross country fences from 65 cm to a BE course. All levels are welcome to come and non jumpers will be catered for. To book please complete the 2 forms. Please download the entry form and adult registration form to book your place.